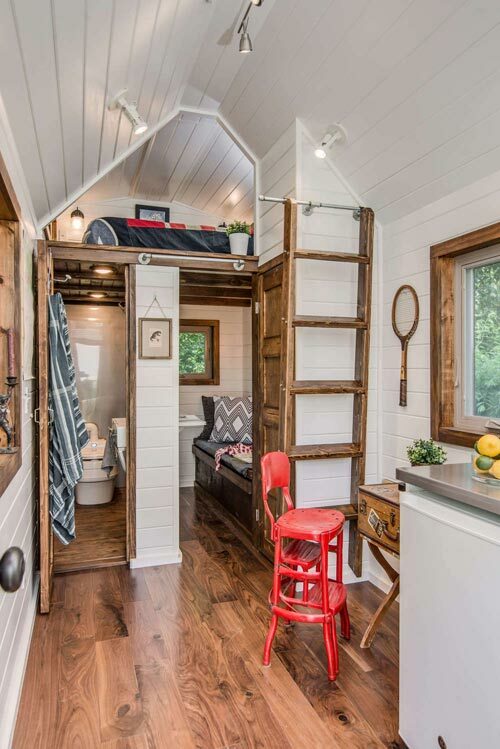 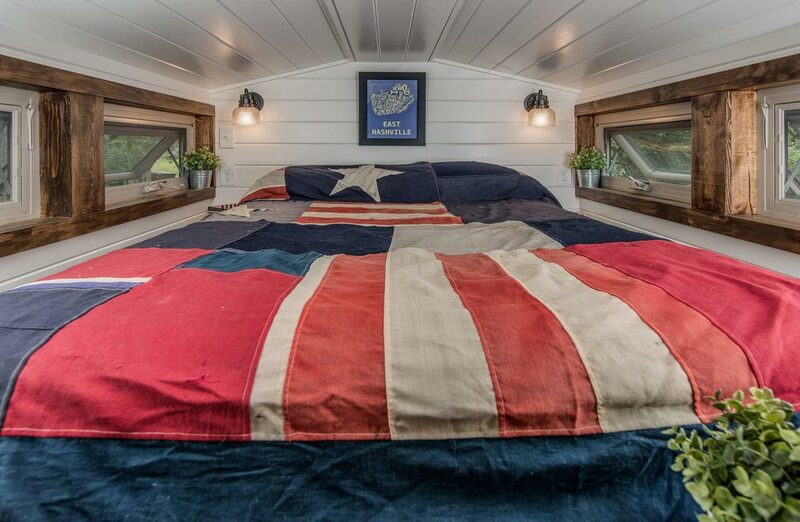 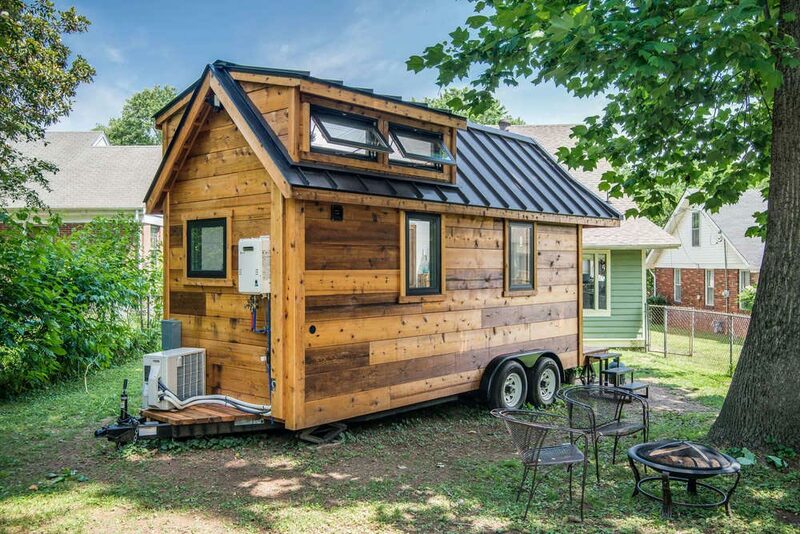 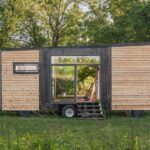 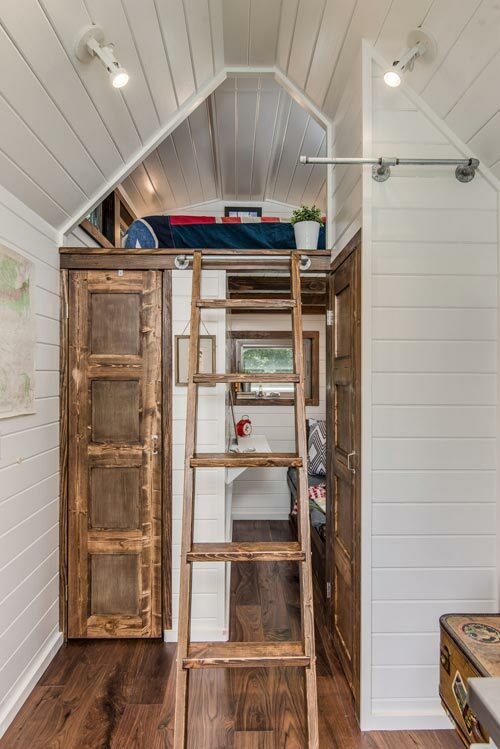 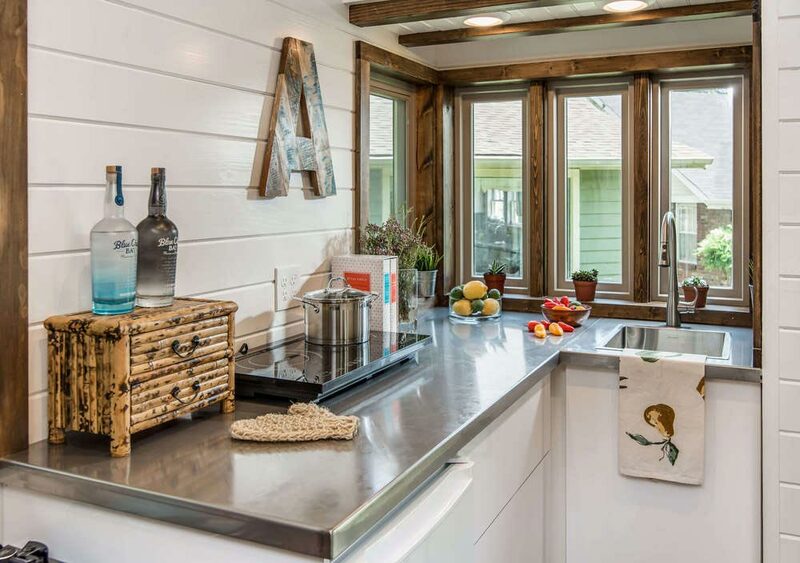 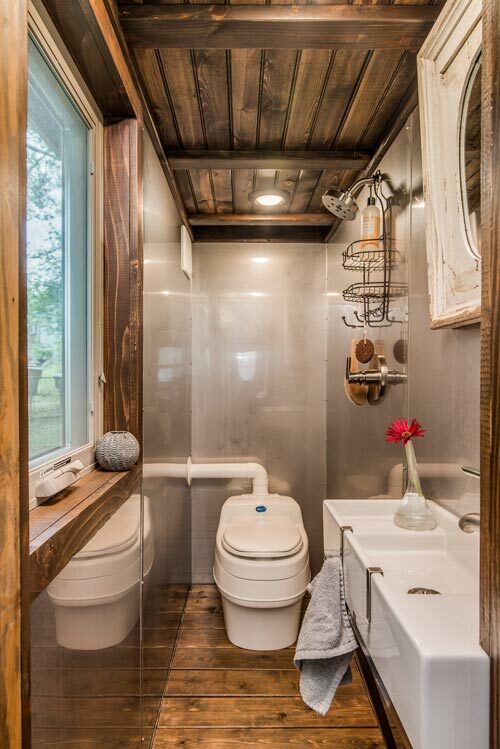 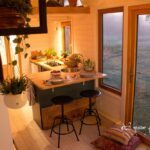 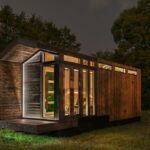 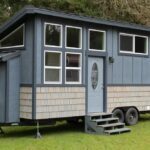 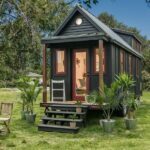 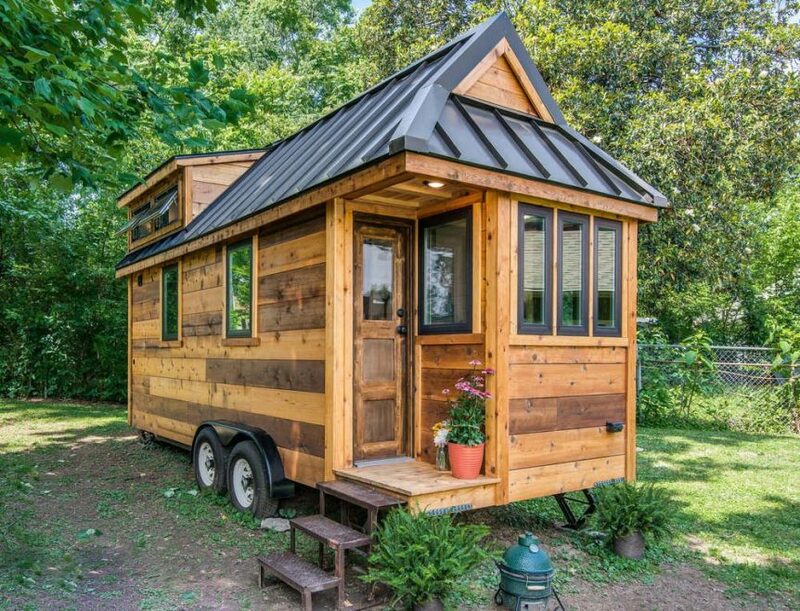 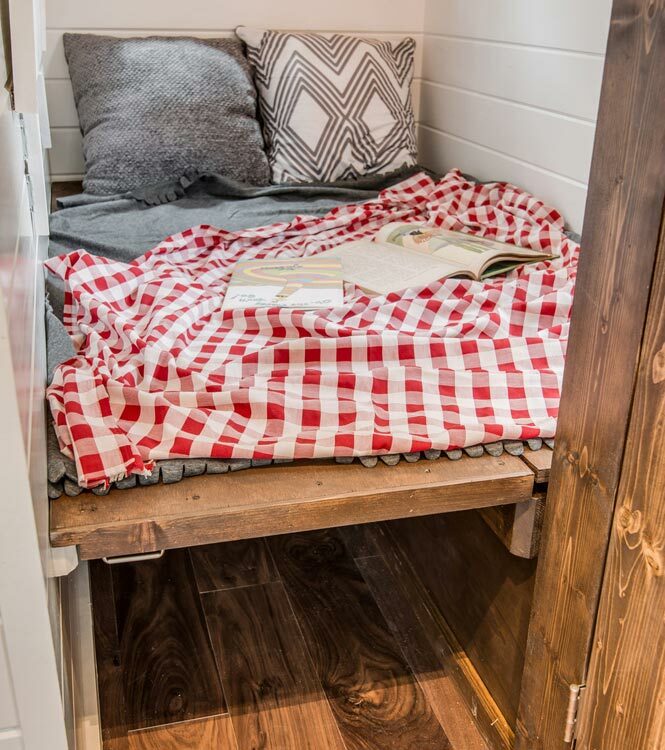 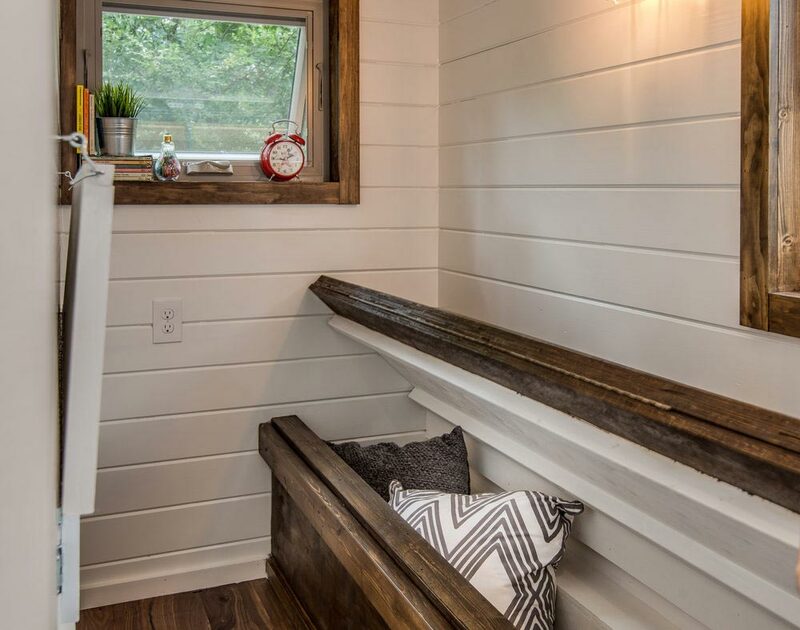 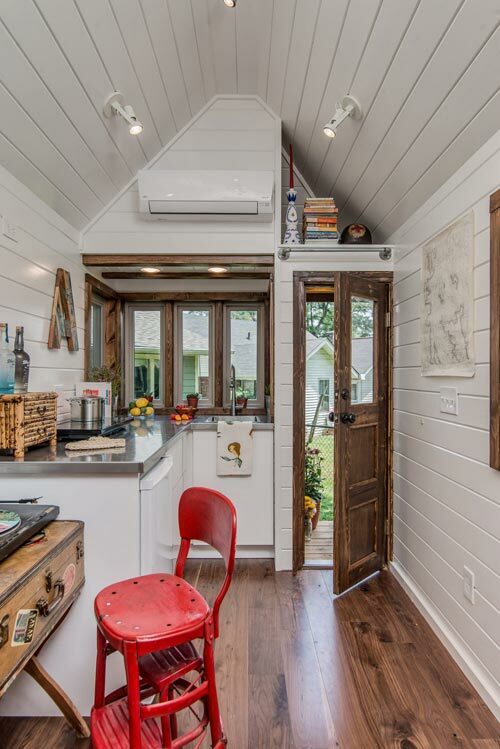 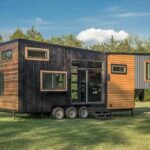 New Frontier Tiny Homes has become well-known for their Alpha Tiny House, but before that house they built Cedar Mountain, a more affordable tiny house with a traditional look. 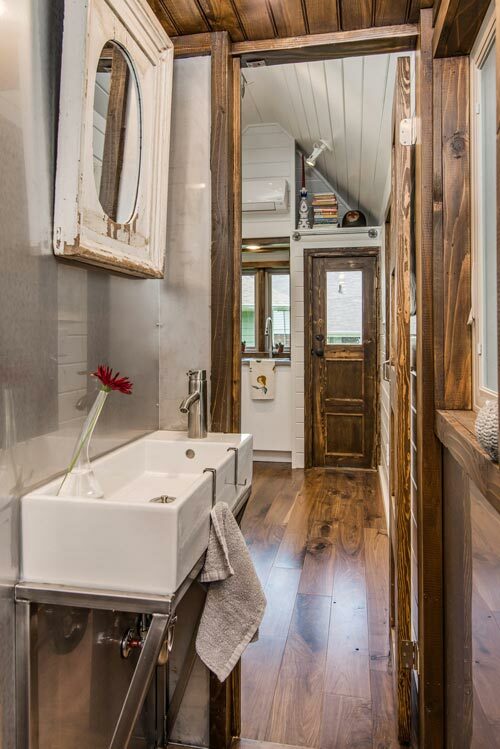 As with each of their builds, New Frontier used high end finishes throughout Cedar Mountain. 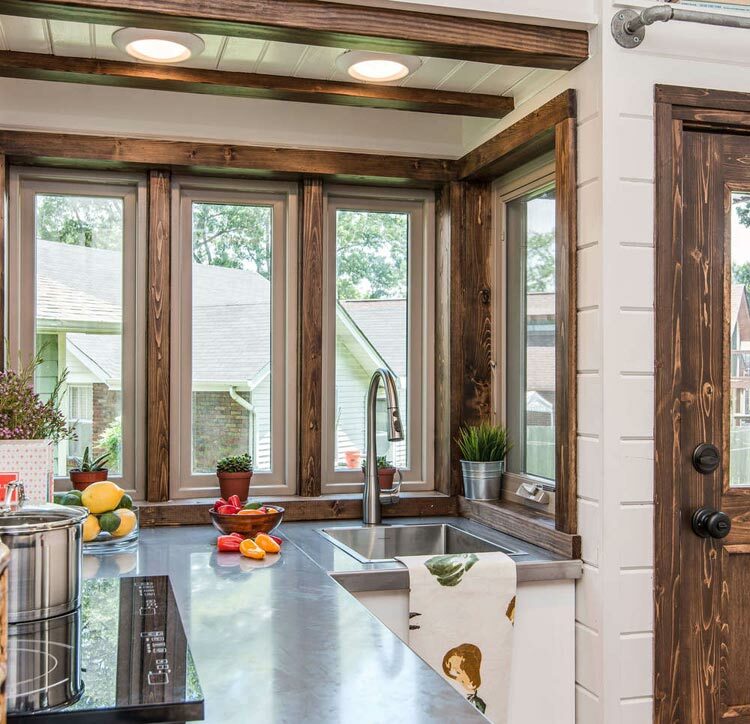 The hardwood floors and stained wood trim around the windows and doors contrast nicely with the white tongue and groove walls. 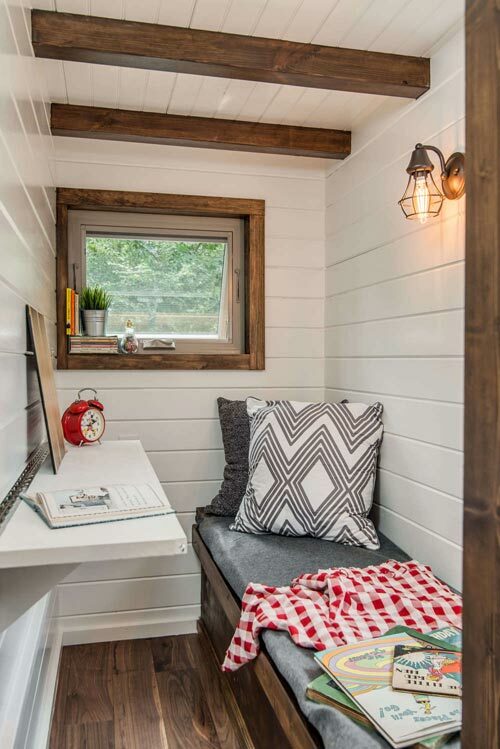 A room in the back of the house can be converted from an office space to a guest room. 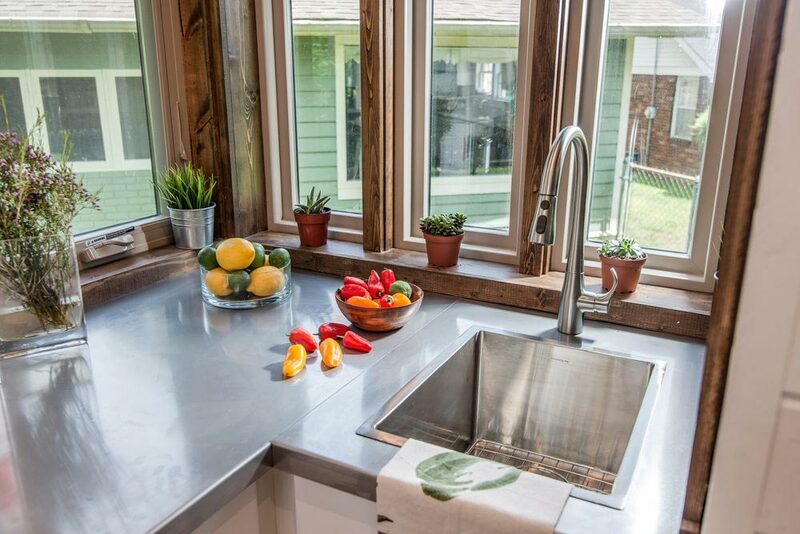 The L-shaped kitchen features a stainless steel counter and wrap-around windows for lots of natural light. 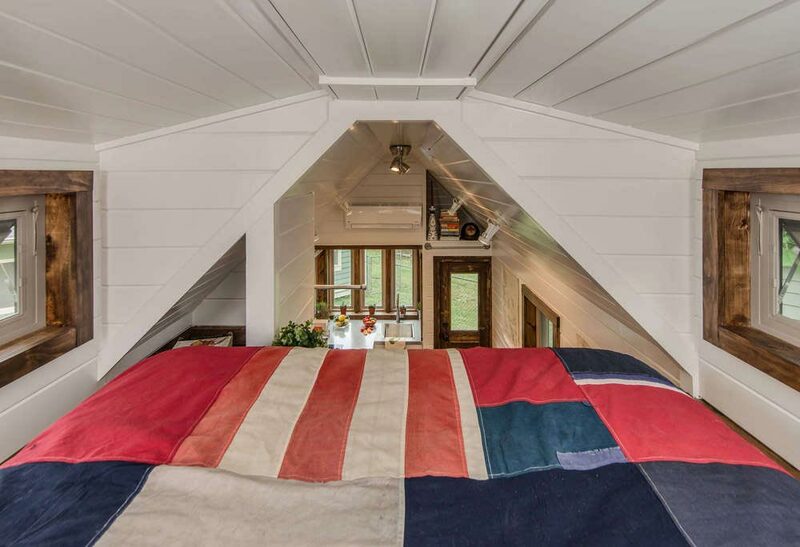 The bedroom loft is accessed by a ladder and has double dormers for extra headroom. 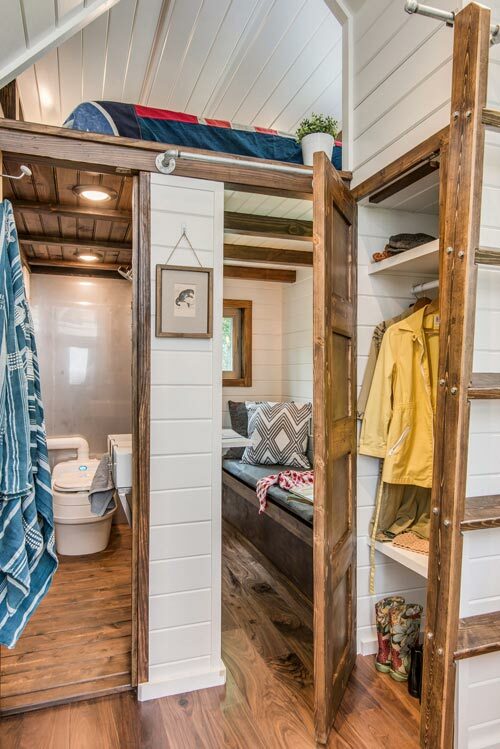 A storage loft is above the entryway and the wet bathroom has a stainless steel shower surround with composting toilet.